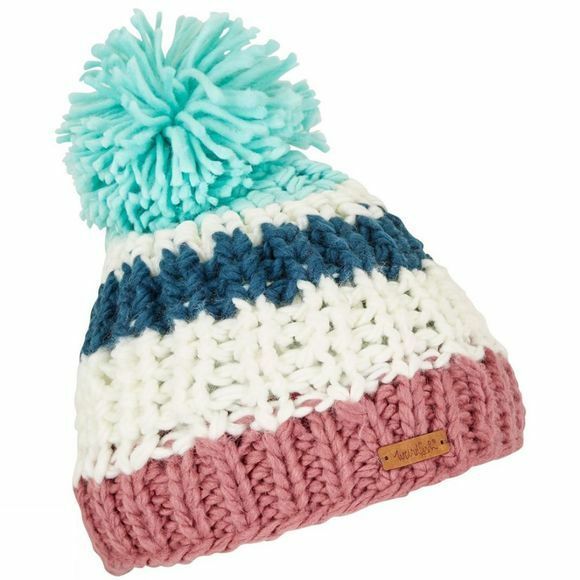 The Womens Kathy Bobble Hat from Weird Fish includes a stylish block stripe pattern in contemporary muted colours that are perfect for the winter season. Available in Deep Sea Blue and featuring a large pom-pom, a ribbed knit band and a small leather Weird Fish badge. Why not match with our Valentina block stripe scarf in the same pattern to create a stylish but incredibly warm look.